Our public outreach program builds community-wide understanding of the visual arts, their role in society, and meaning in our everyday lives. AVAA is the sponsoring organization for the Greater Tomorrow Youth Art Program, which provides free art lessons taught by UT professor Dr. Christopher Adejumo to disadvantaged children in Austin. 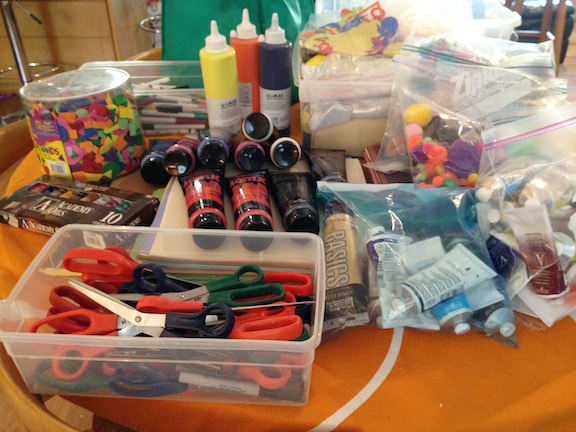 AVAA has held many benefits for artist-related causes, raised money to donate art supplies and materials to other nonprofits, held art workshops in foster homes, and more. One of our most notable community outreach projects in recent years has been “The AVAA Awards,” a program designed to raise awareness of the visual arts in Austin and throughout Texas. AVAA has organized three “AVAA Awards” banquets, with our fourth on the way. The inaugural Austin Visual Arts Awards took place in December 2009 with an upscale reception and ceremony at the Austin Museum of Art. Our other awards banquets, even larger in scale, have been held at the AT&T Center. The Awards involve the participation of the entire visual arts industry. They recognize and document significant contributions in the visual arts in Austin’s past and present. We coordinate with Austin’s art, media, and business communities to embark upon this landmark initiative in order to help raise the profile of our talented local artists. Dozens of art institutions, galleries and museums participate in the selection process each year. With full support of the arts industry, hundreds of arts aficionados pack the downtown locations to recognize artists who continue to make a difference.